Mumbai: The world’s largest steel maker ArcelorMittal may look at other locations for its proposed factories in India after facing delays of more than four years in securing land and iron ore mines in Jharkhand and Orissa. “While we appreciate the problems in the states, we are unhappy with the progress," Vijay Kumar Bhatnagar, the head of ArcelorMittal’s India unit, said on Tuesday in New Delhi. The Karnataka state government is ready to offer ArcelorMittal an alternative site, minister of state for steel A. Sai Prathap said. Orissa and Chhattisgarh, which hold 70% of India’s coal reserves and 55% of its iron ore, have attracted project proposals from global steel makers including ArcelorMittal and South Korea’s Posco. Land disputes and delays in allocating mining licences have prevented the companies from starting plants in the region. ArcelorMittal, which plans to set up two $10 billion (around Rs47,000 crore) factories in India, has been unable to secure land for its projects. The company had said in October 2005 that it plans to set up a factory with a final capacity of 12 million tonnes in Jharkhand and had announced another plant of the same size in neighbouring Orissa the following year. 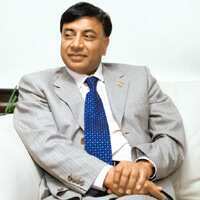 ArcelorMittal’s chief executive officer Lakshmi Mittal is scouting for alternative locations because no progress is being made at the existing sites, PTI had said on 28 October. The firm is in talks with the government of Karnataka for its project, DNA newspaper had reported on 16 October, citing unidentified officials. The Karnataka government is willing to offer an alternative corridor if Mittal looks to change locations, Sai Prathap said during a steel conference on Tuesday in New Delhi. ArcelorMittal, which secured a permit to mine iron ore in Jharkhand last year, is vying with local rivals including Steel Authority of India Ltd to win mining rights for the Chiria iron ore reserves in the state, Bhatnagar said. Posco, South Korea’s biggest steel maker, had announced a plan to set up a $12 billion plant in Orissa in 2005. The company, however, has yet to begin construction of the plant.